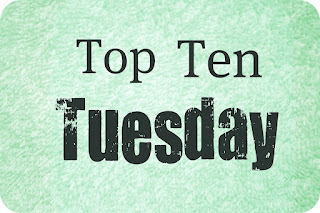 Top Ten Tuesday-Top New-to-Me Authors of 2013 12/17/13 | YA? Why Not? This entry was posted in Book Lists, Book Reviews and tagged Brandon Sanderson, Cat Winters, Colleen Clayton, debut authors, Jennifer Lynne Barnes, Kirsten Miller, Michelle Hodkin, Mike Mullin, Mindee Arnett, Rainbow Rowell, science fiction, series, Top Ten Tuesday, Trish Doller. Bookmark the permalink. Rainbow Rowell really is the IT of 2013. I’ve read all three of her books and loved them all. E&P is probably my favorite, although Fangirl was very close behind. And Attachments was great, too. I’ve heard great things about Brandon Sanderson. I really need to read something of his. YES! Mindee Arnett! I read The Nightmare Affair this year and I am so excited for the next one in that series! And Avalon! IT LOOKS SO GOOD! Definitely dying to read it! She is really a fantastic author! Glad that you’ve discovered some great new authors! I feel like Rainbow Rowell is on EVERYBODY’S list. I read Trish Dolller’s debut, Something Like Normal, and I thought it was alright, but it was a small book with a big story. I just think it wasn’t long enough, which is rarely my reaction to contemporary books. But I added Where the Stars Still Shine to my TBR anyway, and I put on hold at my local library. LOL, I read about the supervolcano yesterday and freaked out because of Ashfall! Loved that book, can’t wait for #3. I’ve heard such good things about In The Shadow of Blackbirds. And I think Rainbow Rowell is the queen of this week’s top 10 lists! Great list! I loved Ashfall! And it was so freaky. He would have been on my list, but I read him in 2012. I got to meet Mike Mullin at ALA-very nice guy! I have to go back to Ashen Winter myself. I was getting too worked up about the characters and had to step back. Also-agreed that Rainbow rocked 2013. If you haven’t read Attachments, you should get on that ASAP!